Aw. Bear hugs for David’s cuddly new hero. He’s sweet like Quality Street – but full of surprises! 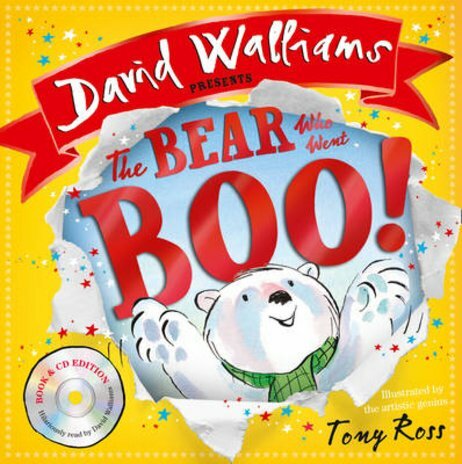 Now this little bear’s story has an audio CD read by David Walliams himself. (It’s full of silly sound effects.) Plus, Tony Ross’s cuddly pictures will totally melt your heart! Once there was a boy who cried wolf. But now it’s time to meet the bear who went boo! (Much funnier and cuter.) This cheeky polar bear cub lives at the top of the world, in a land of snow and ice. What’s his hobby? Can you guess?